Better Instant Oatmeal - Kellbot! | Kellbot! I tried overnight oats. Honestly I think they’re kinda gross. I don’t want cold gloppy oatmeal in the morning and I definitely don’t want 16oz of it. 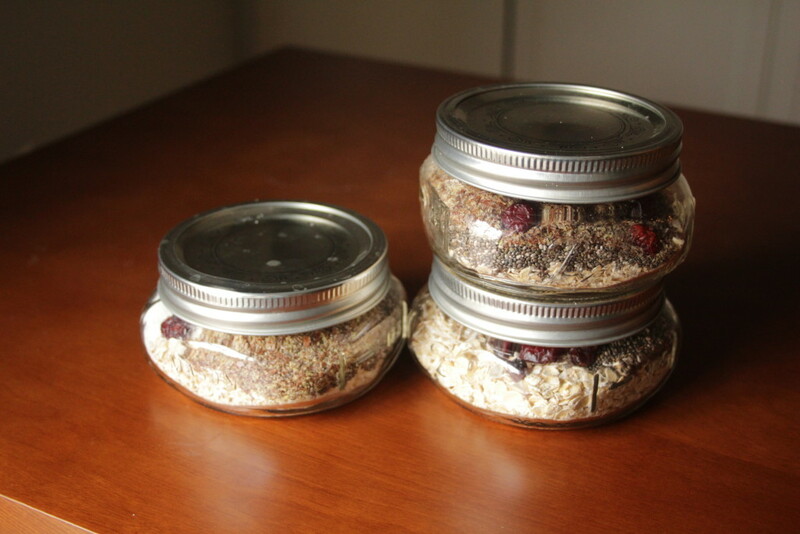 So instead I put together some “instant oatmeal” jars. All I have to do in the morning is add hot water. They’re cheap, brain dead, and very portable. Three breakfasts ready to go. I measure everything out into 8oz mason jars and leave them on top of the microwave. In the morning I use the hot water kettle to fill them to just below the lip of the glass. You could also put cold water in and nuke them in the microwave. Make sure you give it a good stir, and let it sit for a few minutes. Everything will swell into a delicious gooey oatmeal. Pro tip: turn the oatmeal upside down and shake it (with the lid on) before adding water. This helps some of the smaller bits get mixed and rise to the top. Otherwise you can end up with a gelatinous clump of chia seeds which is not very appetizing. Oh man nom city. 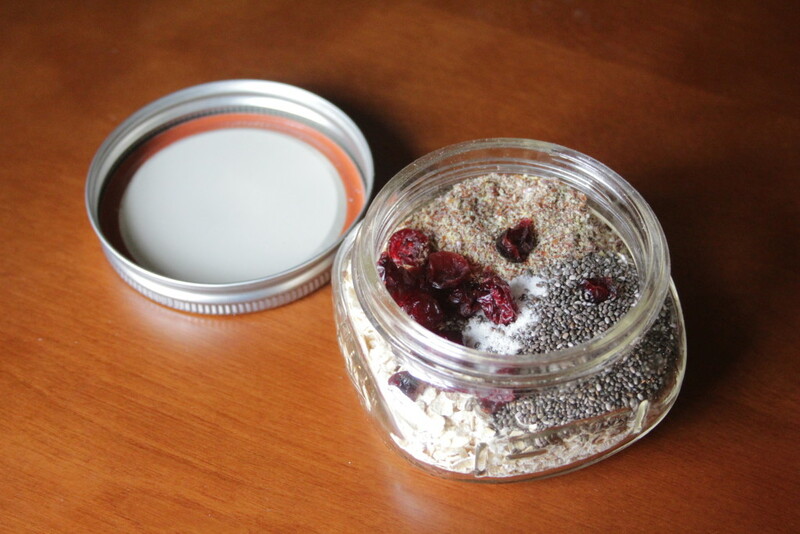 I like the overnight oats but I like this idea, too! I need to get those jars!!! FYI Target is currently like Canning Central. They have a ton of mason jars, including a lot of stuff they don’t carry the rest of the year. Ooh thanks! I will go get some.